Last week we had a great party. Some of the posts left me speechless. Just beautiful! You are all so talented & creative! Here are a few of those posts. 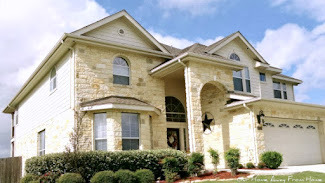 Lisa at Texas Decor gave us the first tour of her beautiful home. 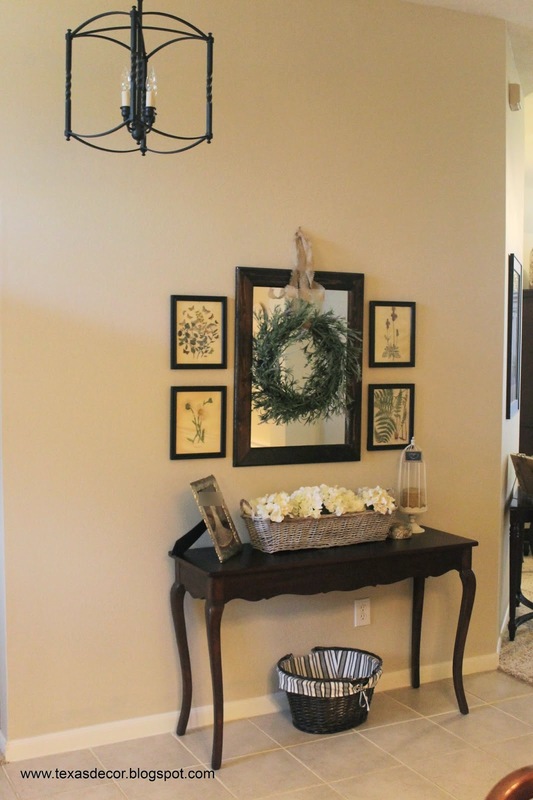 Every room is just perfect! Her post was #1 on the most viewed list. Carol from An Oasis in the desert revealed the super amazing closet her husband built. It just does NOT get better than this. A dream closet for sure! 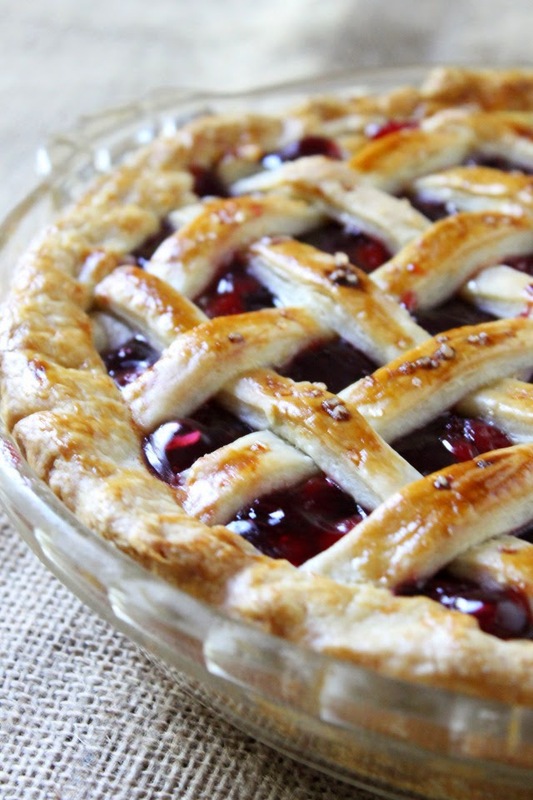 Megan from Love to Bake Forever shared a very simple and easy way of making a very yummy cherry pie. Gail at Purple Hues & Me gave us a tutorial on how to make gorgeous burlap coneflowers. Brooke at Artistic Endeavors 101 shared a post on how her daughter made a beautiful raggy rug from old sheets. 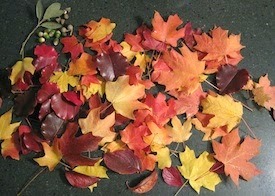 Noreen at Crafty Journal shared some super great tips on how to preserve Fall leaves to use for your projects. 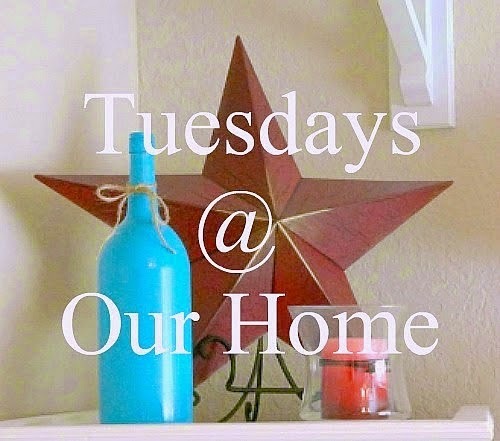 Thank you so much for featuring my home tour, Maria Elena! Your parties are always so much fun and inspiring! Hope you're having a great Monday! I love that closet, it's awesome! Thanks for hosting Ma. Elena. Have a great week. I'm so jealous of Carol's closet! thanks for hosting! Thanks so much for featuring my closet, Maria Elena! I'm truly so happy with all of the sweet comments, and I have read each and every one to my hubby. Thanks for hosting! Good evening, Maria Elena. Thank you for hosting the blog party! Great features, Maria! I'm off to see how to preserve fall leaves. Thanks for hosting your party! Really awesome features this week. Have a fantastic week, and thanks for hosting. Maria, thanks for hosting and I'm loving all the great features. Thank you so much for the lovely feature. It made my day!